Opportunities for Canada as Chinese economy evolves — RandallAnthony Communications Inc.
With private consumption forecast to gradually replace investment spending as the driving force of China’s economic growth, import demand will grow strongly over the long term, says HSBC. China’s economic growth rate may have slipped below 7 per cent in the third quarter, sending ripples of concern across the globe, but the outlook for Canadian firms doing business in the country remains firmly positive, says HSBC Canada executive vice president and country head of commercial banking Linda Seymour. To emphasize her view, she points out that Qu Hongbin, HSBC’s chief economist for Greater China, believes that worries over China may be overblown and is forecasting full-year 2015 GDP growth of 7.1 per cent, rising to 7.2 per cent in 2016. 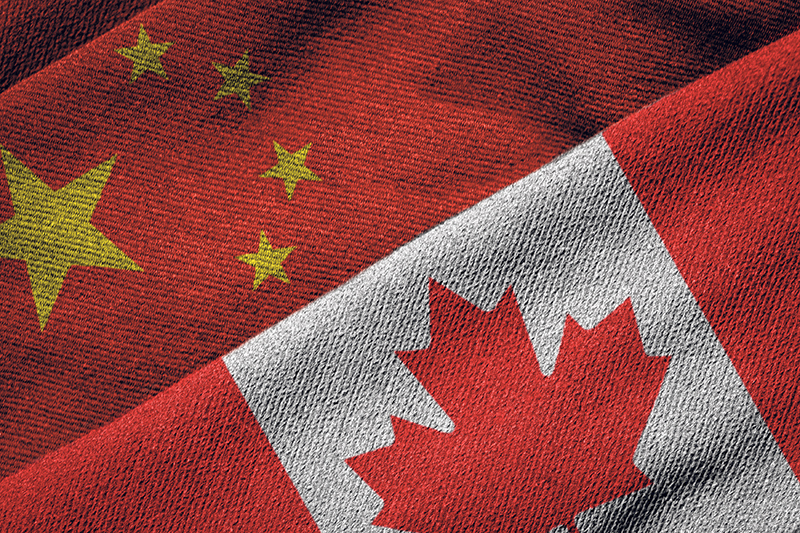 While that may be good news for Canadians wanting to trade with China, Ms. Seymour says they still face challenges, such as understanding the market and ensuring that they differentiate themselves in a highly competitive environment. With trade between Canada and China having increased 57 per cent over the past five years, and HSBC’s research showing that 74 per cent of Canadian companies surveyed expect to increase trade with the country in the coming year, competition may be just as fierce among local companies as it will be with their foreign counterparts. She adds that Canadian companies should be fully committed to the Chinese market and willing to take the risk of competing there. That may mean having people on the ground who understand how local business is done and how customers behave. It’s equally important a financial partner who can help them execute on the ground in China and facilitate trade. Having the ability to settle trade transactions in renminbi (RMB), the Chinese currency, is another advantage that Canadian businesses trading with Mainland China should consider. “For example, if they are purchasing goods from China, they could get a reduction in the price by asking for a quote in RMB,” says Ms. Seymour. It also reduces your exposure to foreign exchange fluctuations if you can eliminate a settlement currency (i.e. U.S. dollars) that does not match the final currency of the buyer and seller. Rosalie Tung, chaired professor of international business at the Beedie School of Business, Simon Fraser University, says that in spite of trade between Canada and China having increased by nearly 60 per cent over the past five years, there are still opportunities in China for Canadian companies because of the country’s size and diversity. “China continues to need raw materials and natural resources even though the demand has slowed somewhat,” she says. “But it’s looking for products and services related to the environment because decades of breakneck growth have contributed substantially to the level of pollution and contamination in the country. Dr. Tung says Canadians trading with China need to recognize how rapidly change is taking place. She adds that it’s also important not to assume that China is a monolithic whole and that all Chinese businesses operate in the same way. “There is a lot of diversity within China, not only across regions, such as between the developed eastern seaboard and the developing western region, but also in terms of educational background, age and exposure of the Chinese business people to international business,” says Dr. Tung. The slowdown in the growth of the Chinese economy after three decades of double-digit expansion is likely to become what Chinese leader Xi Jingping has referred to as the “new normal,” she adds.